The New Moon is a time of rebirth. It’s a great time for new beginnings of any sort and the perfect time to set intentions for yourself. The New Moon in Pisces is tall about putting your best foot forward, and it brings an emotional boost. This is a great time to dig into your creative side, whether it’s photographing a favourite scene or decorating your bedroom with fresh pillows. 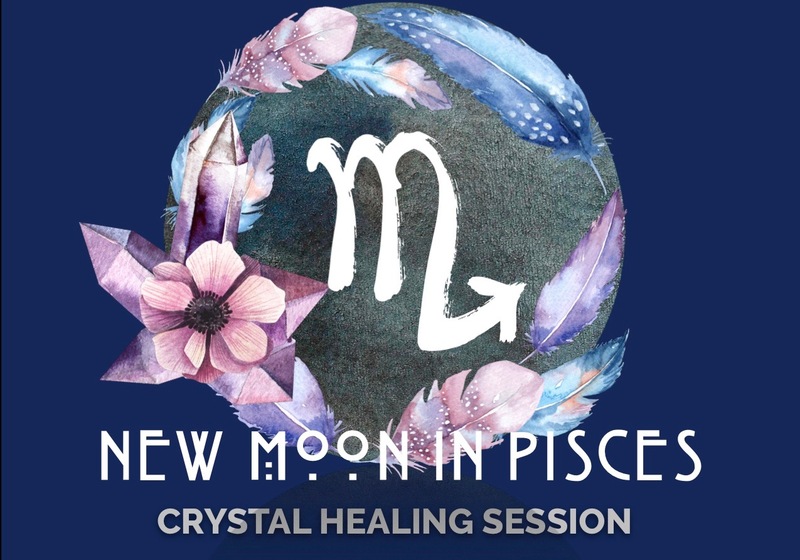 During the session, you will receive a personalized New Moon Oracle reading as well as set your intention for the New Moon in Pisces. A grounding crystal layout will be used as well as crystals geared towards the New Moon in Pisces to help balance the chakras all while resting on an Earthing Mat. The session will connect you with the earth’s electromagnetic field as well as physically ground and neutralize your body. It will also restore and balance your energy system. You will leave feeling relaxed, grounded and balanced.